Bubbly, citrusy, refreshing, with notes of raspberry and cucumber, Blood Orange Thyme and Gin Cocktail embraces winter’s freshest of fruits. This week brought snow to the Pacific Northwest! I awoke Tuesday morning to fluffy snowflakes falling from dark gray skies. The deer were here too, nibbling on the fresh green leaves of tulips just pushing through the ground. I don’t mind their nibbles so much. After all, this was their home long before I called it mine too. We still get a few blooms and I continue to plant new bulbs in hopes that they won’t be discovered. And although I’m anticipating spring in all its glory, I still relish in winter; its quiet stillness, no weeds to pull, dramatic gray skies, golden crowned sparrows, American widgeons, cozy fireplaces and snow-capped mountains. It’s exactly one month before our farmer’s market starts back up again. I can’t wait! But for now, I’m savoring all the citrus winter provides. Last week I baked some Blood Orange Chocolate Chunk Scones but had more blood oranges in the pantry to whip up a couple of cocktails. This was my favorite concoction out of the two. And while I’m somewhat new to gin, I guess I wasn’t surprised to learn how many different varieties of gin there are. It has an interesting, rich history dating back to the early 1600’s and has evolved since into a wide array of distilling techniques and infusions, producing an inviting selection for gin connoisseurs. It’s different than, say, straight vodka since vodka tends to yield a neutral flavor to cocktails. Although juniper berries are the predominate botanical used in distilling gin, each variety has its own distinct notes due in part to infusions. This is why it’s important, I’ve read, to not substitute one variety of gin for another when mixing cocktails. What I appreciate about gin is how it brings its own set of flavor profiles to a mixer. The variety of gin I chose has an infusion of cucumber and rose, a delightful pairing with blood orange and thyme. 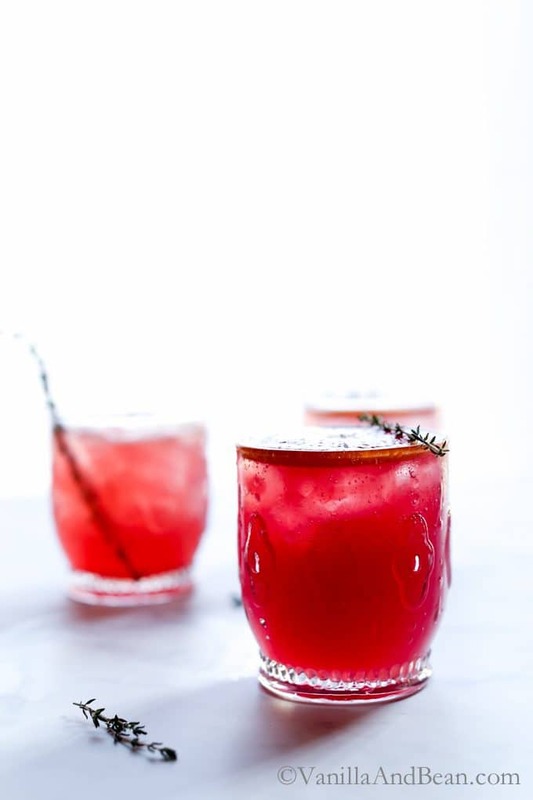 This cocktail is quick to whip up and can be prepared ahead when needed. 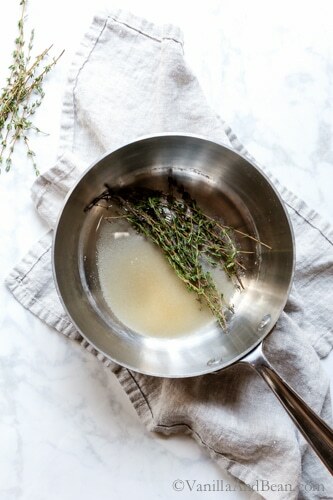 First, make the simple syrup and infuse the syrup with thyme. Chill the simple in the refrigerator or, if in a hurry, throw it in the freezer. Then, squeeze the blood oranges, as many as needed, and mix with the gin and simple. 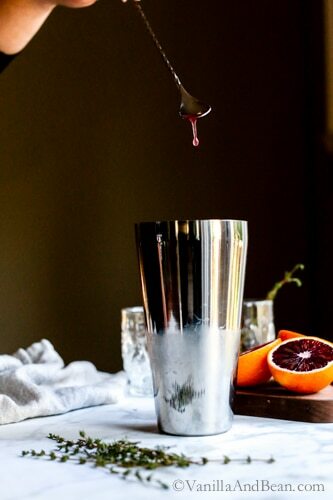 When ready for service, slice blood oranges for garnish, fill lowball glasses with ice, then pour the blood orange/gin mixture into glasses and top with club soda. Garnish with an orange slice and thyme sprig. A little bitter, citrusy, with a hint of thyme and cucumber, this sipper is refreshing and has a gorgeous color. I’d love to know if you’ve tried gin and if so, what variety you like! Please leave a comment below! Bubbly, citrusy, refreshing with notes of raspberry and cucumber, Blood Orange Thyme and Gin Cocktail embraces winter's freshest of fruits. Juice and strain one blood orange through a fine mesh strainer. 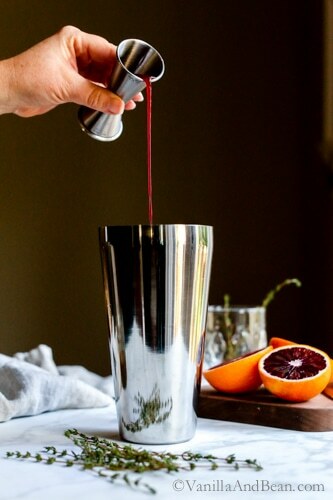 In a cocktail shaker, add a handful ice, blood orange juice, gin and simple syrup. Shake vigorously 4-5 times. Fill a low ball glass with ice and pour the gin mixture over ice in the lowball glass. Top with club soda and garnish with an orange slice and thyme sprig. Adjust sweetness to taste by adding more simple if desired. My favorite gin is Uncle Val’s Botanical Gin… Small batch with citrus, sage, juniper and others delicious notes. It would be wonderful with the components of this cocktail! That sounds so fabulous with the notes of citrus, sage and juniper. I’ll have to see if I can locate it! Thank you for sharing Chris! This drink sounds delicious and I love those pour shots! I hear you Rachael! Blood Orange is fabulous.. with such a distinct citrus flavor. I hope you enjoyed the recipe! Oh goodness… this is so pretty!! I am loving all the winter citrus too. I’ve been relishing in the final weeks of winter citrus – it’s definitely one of winter’s best gifts! 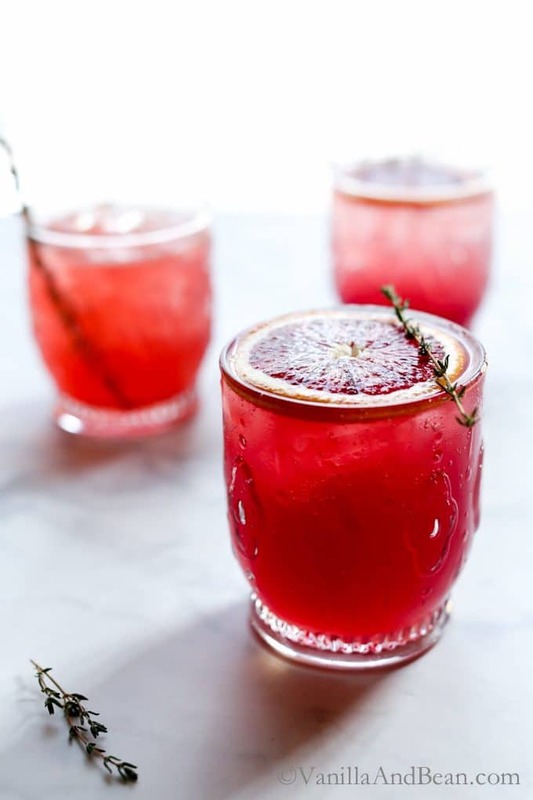 These blood orange cocktails embody the best of winter so beautifully. Wish I could sit down to sip on one with you!! Please come join me, Rachel! Bring that cheesecake, mmmK?! I can imagine seeing the deer in the snow was so beautiful. Totally worth letting them nosh on the tulips, hehe. I would love to curl with these gorgeous cocktails by the fire, or enjoy them on the patio on a warm spring day. They sound so light and refreshing. That thyme syrup is to-die-for! Gosh, this is such a gorgeous color, Traci. We’ve had so much rain here, that all the plants are going crazy. All the local citrus trees in my neighborhood are bursting with fruit – so this recipe is very timely. 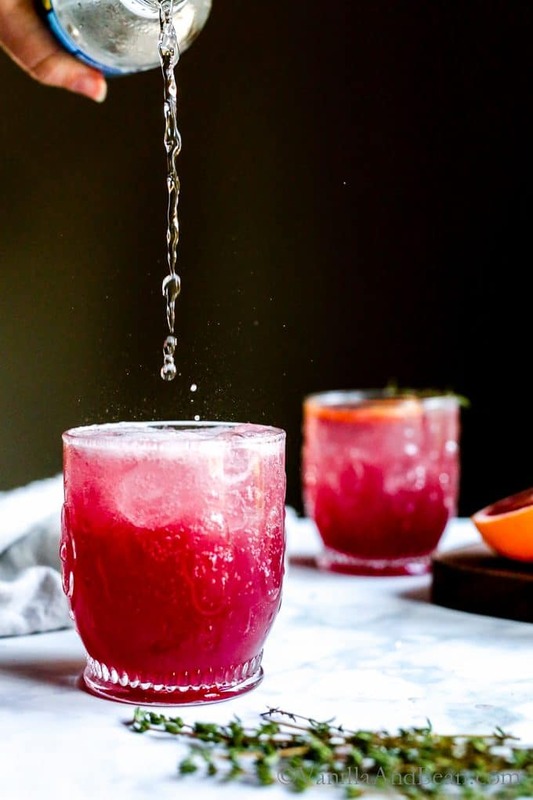 I don’t drink a lot of Gin – but this beautiful drink is calling my name! Your pictures are just gorgeous! Hope you had a great weekend! Thank you, Geraldine! Oh my! I’d loooove all that citrus growing around me! What ever do you do with it all..? I think I’d have to hoard ball jars so I could preserve all that I could! lol. 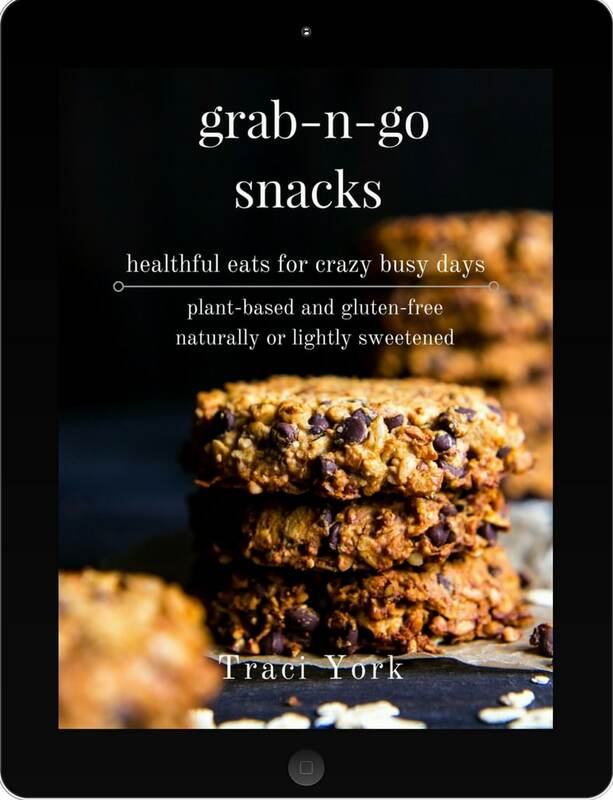 This looks amazing Traci!! Why don’t we live closer?!?!? 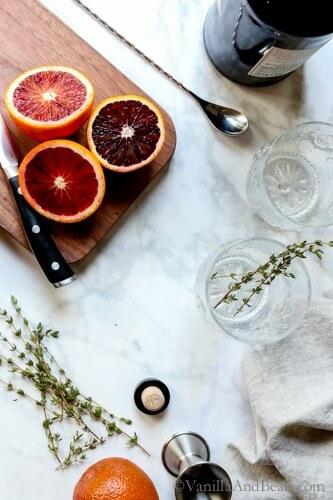 This looks so gorgeous – I’m a fan of all things gin but the blood orange is definitely a beautiful addition here. Will have to give this a try next time I’m feeling fancy! Thank you Grace! It does feel fancy, even with just a few ingredients! I hope you enjoy it my dear! Thank goodness it is Friday and I can enjoy this cocktail tonight! Hendricks is a great tasting gin. I am partial to Boodles myself. Although, I have yet to cross a gin I don’t like ;) Have a fabulous weekend Traci! I’ve not tried Boodles, Samantha! I’ll keep a eye out for it. Thank you for recommending! The fact that you added my favorite herb and citrus to a cocktail makes me love you more! STUNNING my friend. Cheers to you! Love that pour shot. Blood oranges have fast become my favorite offering of winter. 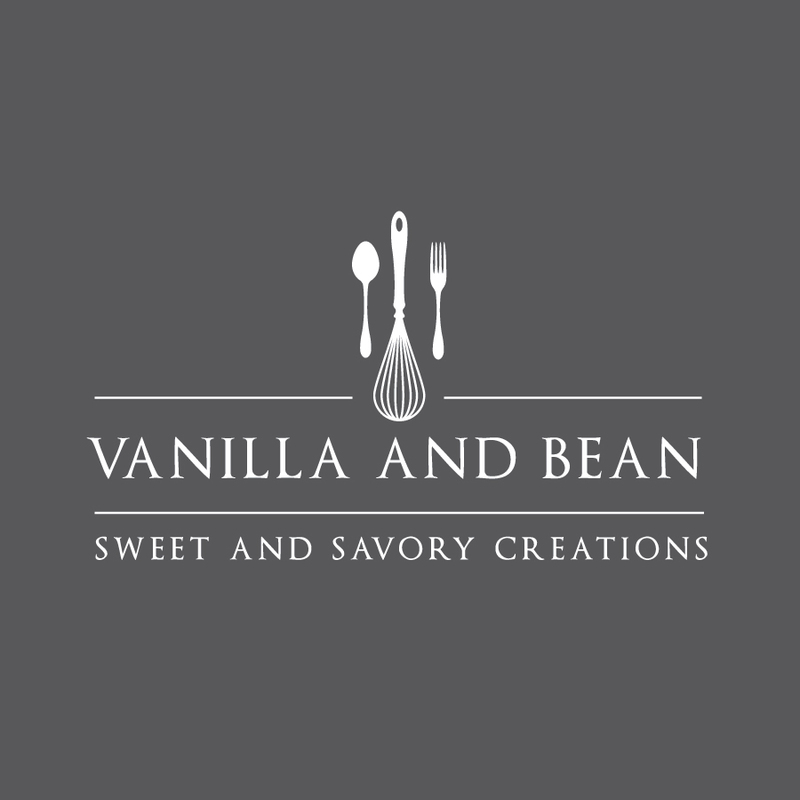 They are so versatile as they lend themselves to everything from salads, to breads and desserts, to salsas and of course beverages. I’m a fan of simple syrups as well and your combination of thyme and gin sounds very appealing. Will gladly give this a go! I can’t believe you got snow! I’m a little jealous! Spring is in full swing around here these days. These cocktails are beautiful!! I’m usually lazy and just stick to wine, but I could totally see myself sipping these beauties on the back porch this weekend! I hope you guys have a wonderful weekend! Awhhh, Izzy.. I know you’d love a good snow in AZ. I don’t blame you a bit! They’re calling for more snow on Monday here too! Hooray! Now, don’t get me wrong.. I like a good glass of red, but still love a good cocktail from time to time. Is it five o’clock yet? I need this right now. It’s simply gorgeous! I think my eyes just bugged out of my head, Traci! The color of this is just gorgeous. And I love that you paired it with gin, which used to be my spirit of choice, but now I’ve been riding the bourbon train for a while. I think I need to dive back into gin and re-discover it and all it’s nuances! Enjoy your weekend. And stay cozy. We’re back to 20 degree temperatures today. Yikes! Thyme and gin work so well together. I’ve never thought to add blood orange to the mix, but this gorgeous cocktail is showing me the error of my ways. I hope you’ll give it a go Allyson! The flavor is complex, but it’s fun teasing out the different flavor notes. What a fabulous cocktail Traci! Gin happens to be one of my favorites! And Hendricks is my gin of choice. My father loved Gin & Tonics and he always chose Tanqueray, but my brother in law turned me onto Hendricks and I love it! 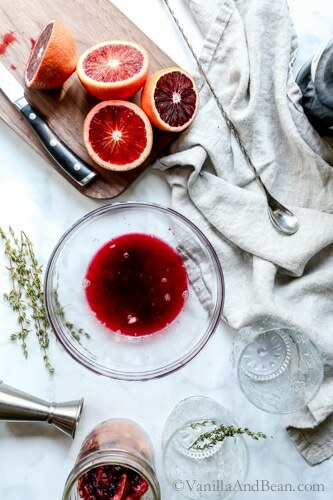 Nothing beats blood orange anything during the winter season. Such a terrific taste and amazing color! 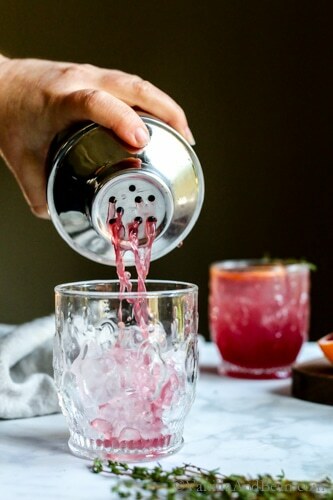 I also love adding a flavored simple syrup to my cocktail to give them an added depth of flavor! I bet this thyme syrup is perfect! I’ve also got a special gin cocktail heading to the blog shortly. Tough to top this one though! Wish I could grab that glass in that last photo! Gorgeous as usual! Haay Zainab! Thank you my dear!